Marazzi has launched three new tile collections, including wood-, marble-, and limestone-looks. These new collections feature ever bolder, classically-inspired aesthetics and join the well-established tile manufacturer’s celebrated offerings. 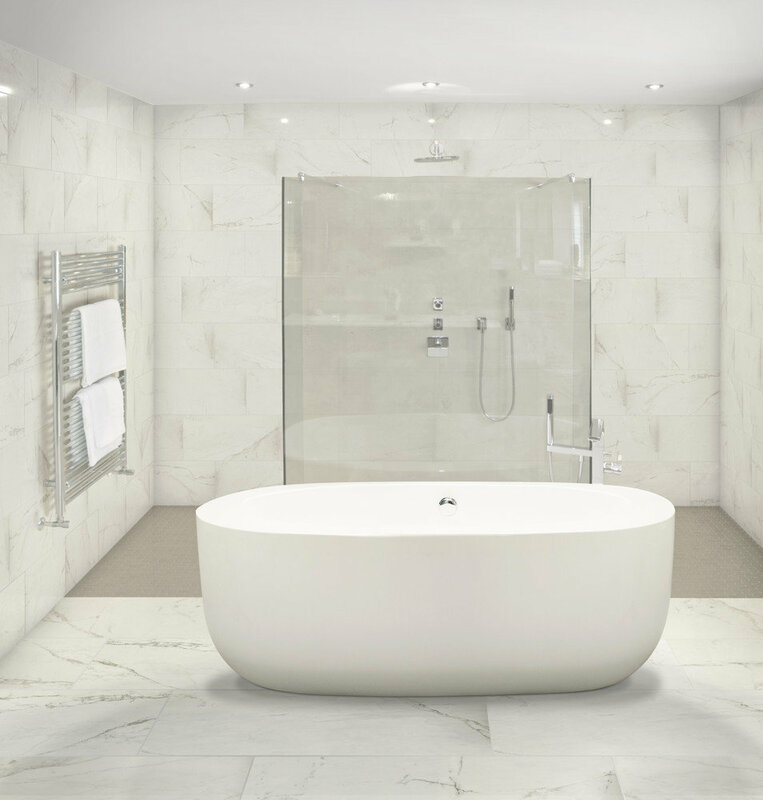 Stunning is the only way to describe Classentino Marble (shown above). This porcelain tile features the intricacies and veining of natural marble to create a bold aesthetic, perfectly accentuating luxury residential and commercial spaces. 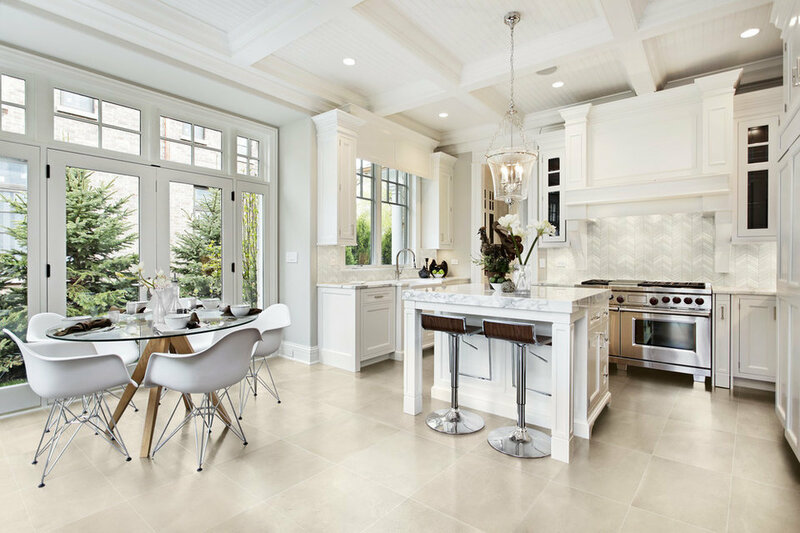 Classentino Marble offers the bold, realistic look of marble in a porcelain tile. The intricacies and veining of natural marble are artfully reproduced via Reveal Imaging™ technology. The collection is offered in five colors, as well as two different finishes, perfect for any design style. Classic weave and linear hex mosaics accent the collection for a modern twist on these timeless materials that make a profound statement on floors and walls in both residential and commercial spaces. The brand’s wood-look tile collection continues to grow with the introduction of Chateau Reserve. This porcelain stoneware is modeled after European Oak and features lightly distressed graining adding richness and texture. Its revolutionary StepWise™ technology adds superior slip resistance, vastly expanding use to outdoors. Offered in a visually stunning 48” plank size, Chateau Reserve features a lightly distressed European Oak look that is highlighted by the unique combination of plain, quartered and rift sawn visuals that enhance its authentic characteristics. Exclusive StepWise technology delivers superior slip resistance, expanding its use to outdoors as well as commercial spaces, with ease of cleaning. Five on-trend colors set this special collection apart, adding richness to varying design styles. 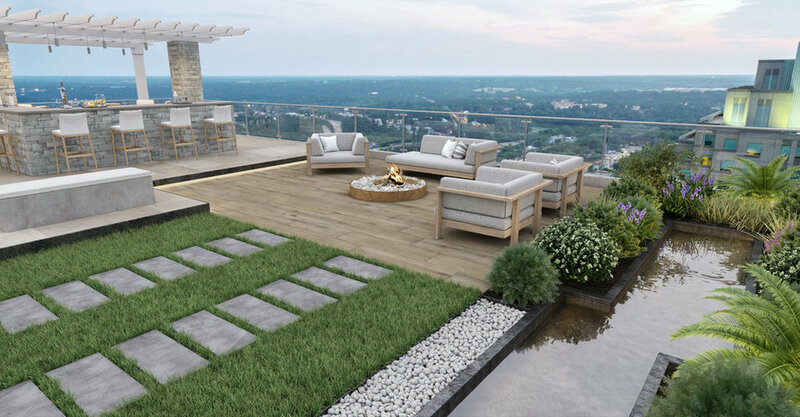 Inspired by the appeal of natural limestone, Marazzi designers created Modern Formation to give customers a unique flooring solution meant to add depth to both indoor and outdoor spaces. Modern Formation by Marazzi draws inspiration from the authentic appeal of natural limestone, featured in six uniquely different visuals achieved through Reveal Imaging technology. The contrast of these colors and styles are offered in large format sizes and available in unpolished and light polished finishes to create dynamic spaces. The collection also features a textured structure with StepWise technology that provides superior slip resistance. A bold chevron mosaic and a 2×2 mosaic complete the look.